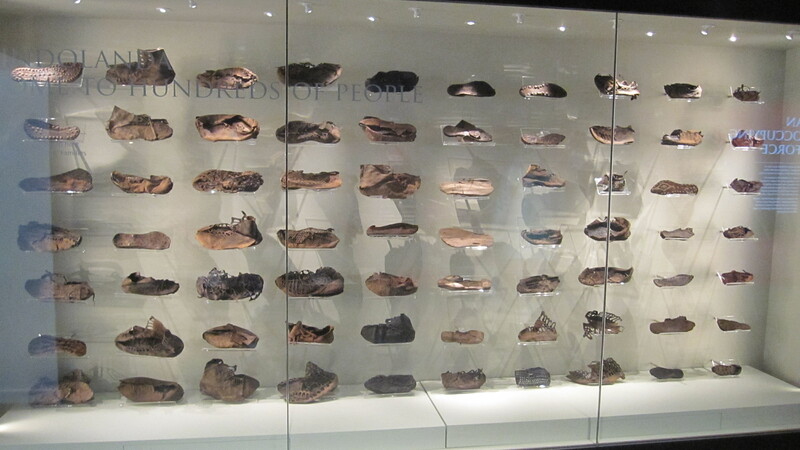 "NORTHUMBERLAND, ENGLAND—Chronicle Livereports that more than 400 shoes sized for men, women, and children, were recovered at the Roman fort of Vindolanda over the summer, bringing the total of shoes from the site to more than 7,000. 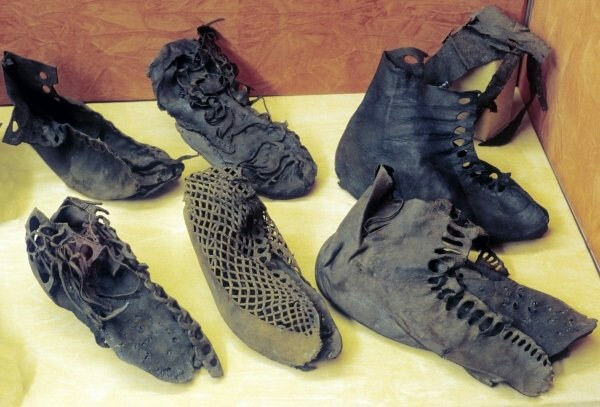 The 1,800-year-old shoes included ones made solely for indoor wear, boots, sandals, and bath clogs. The footwear was found in a defensive ditch, along with pottery and the remains of cats and dogs. Andrew Birley, director of Vindolanda’s excavations, thinks the contents of the ditches may have been discarded when the garrison withdrew from the fort in A.D. 212, when the war between northern British tribes and Roman forces ended. “They may have had to walk hundreds of miles and perhaps longer and had to leave anything they couldn’t carry,” he said. All of the shoes will be conserved. “The volume of footwear has presented some challenges for our lab but with the help of dedicated volunteers we have created a specific space for the shoe conservation and the process is now well underway,” explained trust curator Barbara Birley." Of course, a company is already making copies. Much better shoes than I expected. I thought they had only sandals, like in all the Hollywood movies. 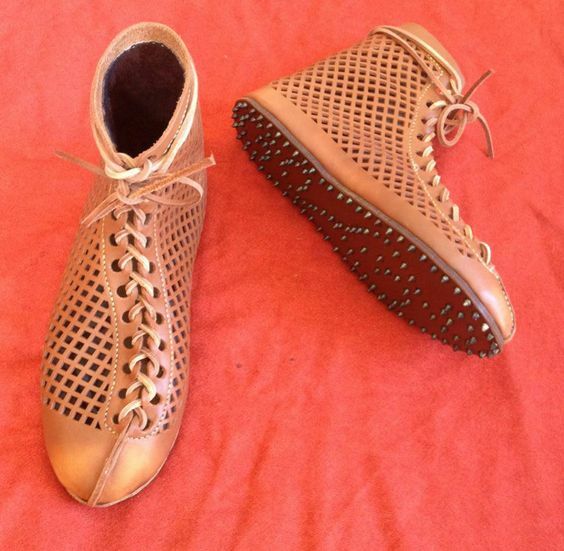 Does that mean the Brogue shoe is Roman in origin? 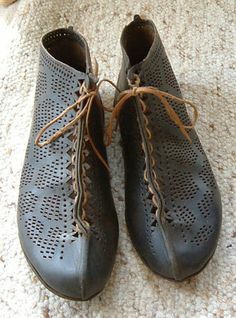 Modern brogues trace their roots to a rudimentary shoe originating in Scotland and Ireland that was constructed using untanned hide with perforations that allowed water to drain from the shoes when the wearer crossed wet terrain such as a bog. The word "brogue" came into English in the late sixteenth century. It comes from the Gaelicbróg (Irish), bròg (Scottish) "shoe", from the Old Norse "brók" meaning "leg covering". The Scots word brogue is also used to denote a bradawl or boring tool as well as the action of piercing with such a tool.